Rid Your Property from Excess Water and Flooding with OC Plumber. Water and flood damage can be devastating to your home, workplace, or any other type of property for that matter. While water damage restoration is one aspect of flooding, water extraction from the property to make it inhabitable once more is quite another. We offer comprehensive and affordable water extraction services. 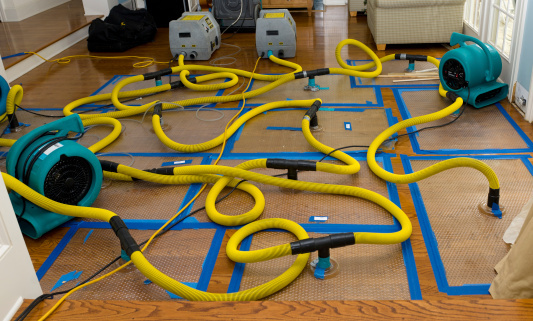 By discovering the source of the water damage, we deploy various techniques to remove water from your property, while decontaminating the materials and eliminating any chances for further damage as well. We offer 24/7 emergency water extraction services. Contrary to popular belief, water extraction is not an easy job to handle and must be carried out with the help of professionals. And when we take into account that flooding is not the only cause of water damage, this makes it an even more hazardous job to carry out on your own. Hence, hiring a professional water restoration and extraction service is a necessity, and not an option, to ensure that all materials in your property are of adequate standards. At OC Plumber, we implement best practices in property inspection, water extraction, and dehumidification of your property. By determining the source of damage, whether it was from flooding, condensation, leaking appliances, or weather, we start extracting water using appropriate methods. That said, we do realize that a water extraction emergency can arise at any hour of the day or night. This is why we offer our clients with 24/7 emergency service throughout the year. Once you give us a call, our team will attend you within 60 minutes and will help you with your situation on the spot! We provide water extraction treatment plans that are ideal for your property. When it comes to water flooding, we realize that every property will have unique circumstances and effects. This is why we offer our customers with hands-on water extraction that can meet the needs of their property. Whether you reside in a commercial setting or a residential one, we offer services to all types of properties, with prospects of discounts and promotions as well. We take pride in serving our customers with the best possible solutions for their water flooding and leaking issues. If you are looking for complete water extraction treatment with documentation in Orange County, then you have come to the right place. We employ innovative methods and technologies to make sure your property is of the best possible standards in the long term. If you are not sure about what we can do for your flooding situation, you can always call us for free consultation and quotes. If your property is insured, then you can simply use it for the water restoration and extraction processes and we will directly charge your insurance company for the services. Contact us at (949) 461-1141 for water extraction services today!